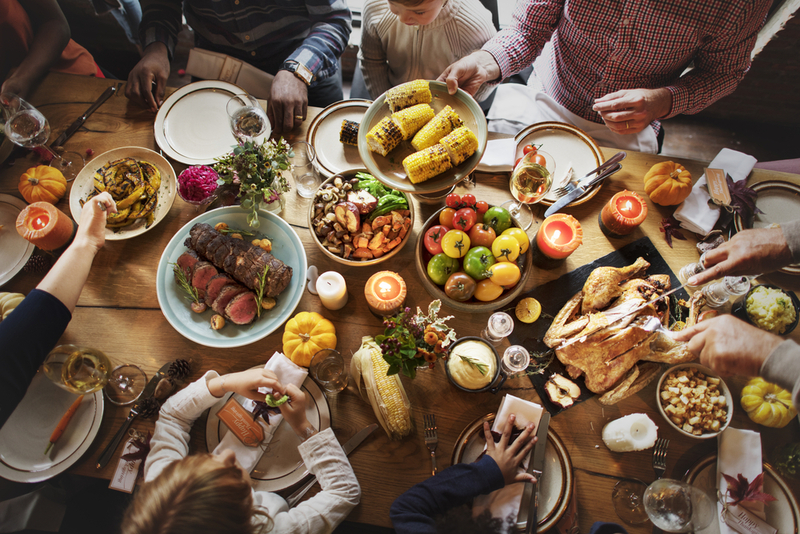 When holidays are around the corner, we anticipate feasty meals and an enjoyable time with our loved ones. It is a special time of the year that we spend with our guards down and eating our favorite foods. This is especially true of Thanksgiving when most Americans devour an appetizing feast and look up to it as the main source of entertainment. While it is a great time to do this, it is important that we take care of our oral health to avoid developing any dental problems. It’s a fact that drinking water is always important but it actually becomes critical on days when we’re consuming a large variety of sweet and rich foods. A consistent intake of water will remove toxins and bacteria from our mouth, which, in turn, can reduce the plaque buildup. Rinsing our mouth with drinking water as we eat also improves the flow of saliva and help counter cavity. Hydration is crucial to counter the salt intake, which is present in higher quantity in large and versatile meals. Water acts like a medium that minimizes the harmful effects of acids on our teeth. It dilutes and washes it away instead of letting it collect in the side and on the surface of our teeth. Cranberry jelly is a sticky sauce that can cause a lot of harm to our teeth and gums. It is highly acidic with excess sugar. This is a lethal combination that raises the potential for bacteria settling in our mouth. Other foods such as mashed potatoes and pecan pie also pose similar health risks to our oral health and we should be very careful while consuming them. Within an hour or so of finishing our meal, we should thoroughly clean our teeth and gums by brushing and flossing. This will help remove food particles, allow the saliva to boost its flow and aid in digestion. After a holiday like Thanksgiving, it is best we schedule a visit with our dentists for a cleaning session. The dentist will ensure our oral health is up to the mark. Our teeth are a major part of our persona that helps preserve the radiance of our smiles and we shouldn’t compromise them in any way. Call Fairfield Dental Arts today!